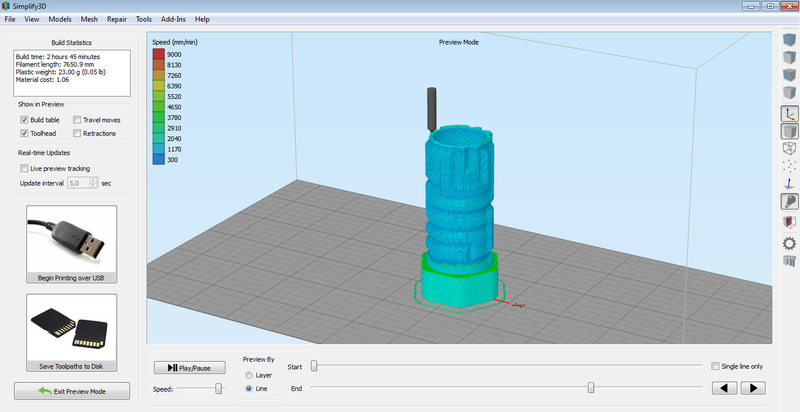 This is were the Simplify3D software comes into action by offering wider functionality and more advanced control over the printing process, should you need it, along with support for many 3D printers. With the just released Simplify3D V2.2 update the software now supports even more 3D printers than before, including the newer MakerBot 5th Gen Replicator, MakerBot Mini, MakerBot Z18 among many others. The drawback with Simplify3D is that the software is commercial and you need to buy a license to be able to try it use it, so you cannot just download a demo version that you can try out before you buy. A license for the Simplify3D 3D printing software will cost you $140 USD, a one time price that you have to pay for it that covers future updates. The best thing is that chances are that not only your current, but also your future 3D printer may be supported by the software, so even if you get another device or upgrade in the future you may still be able to use the same software with the new printer. So while it may not be a wise idea to buy the software if you are just starting in the world of 3D printing and are still wondering if it is something for you to dig deeper in, if you have already decided that 3D printing is your thing, then getting a license for the Simplify3D software may be a good idea. The Simplify3D software is essentially an all-in-one software suite for your 3D printing needs, at least if you have an FDM/FFF 3D printer that extrudes thermoplastic. The software has a fast slicing engine and a very good preview on how the actual print will look like, including a preview of the whole printing process. 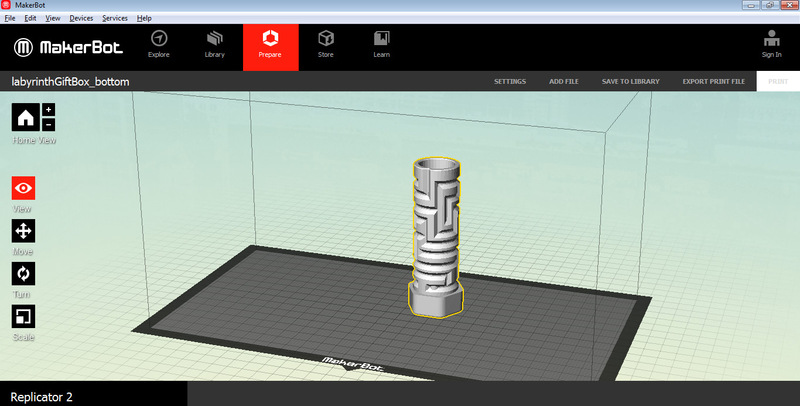 Simplify3D also offers more advanced and intelligent functionality regarding the support structures, it even allows you to manually add or remove support for models before trying to print them at places that you may consider it will be useful. Another good and useful thing is that the printing algorithms used by the software are probably different as compared to what your original 3D printing software uses. 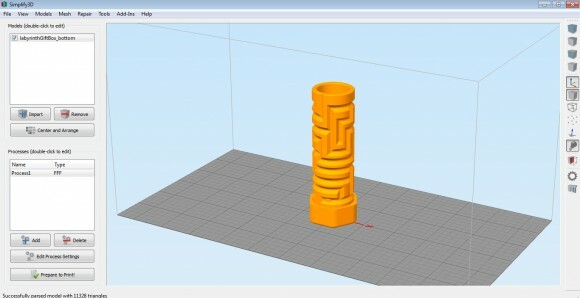 This means that if your original software has trouble slicing a 3D model and properly printing it due to some issues you might have better success with the different algorithms used by the Simplify3D software. When talking about issues with models, the Simplify3D also has some advantages thanks to a few options available for analyzing and reporting possible issues with the models you are trying to print with even the ability to automatically fix some of them. This functionality however is far from perfect and there are other software that offer better and more functional ability to find and repair automatically issues with your 3D models. With all that said we are not going to say that Simplify3D is the perfect and absolutely problem free software for your 3D printer, it still has some issues and things we don’t like, as well as functions that are lacking. The good thing is that the company developing the software is actually listening to what the users of Simplify3D need and want to have available and implement new things based on the user feedback and this is very important to have for a 3D printer software. So we do recommend to check out the features and functionality that the Simplify3D software offers as we have been happily using the software for a while already and will continue to do so, though we are not always and only relying on it for our 3D printing needs.